Alumnae Panhellenic of Tallahassee 2017-18 Membership Drive – Alumnae Panhellenic of Tallahassee, Inc.
To get us off to a great start, we ask that each chapter submit their $30 annual dues for 2017-18 before November 15, 2017 in order to be in our new Membership Directory. Individual member dues are just $15 each. Your dues cover maintenance for the APT website page, NPC dues, registration of our nonprofit state status, and monthly expenses to keep us healthy and wise – the wealthy part comes on February 10, 2018 when we host the Annual Scholarship Luncheon and Silent Auction, of which 100% of the receipts go to support 4 to 6 scholarships for our FSU sorority women. Below is an invoice you can print out and mail with your check. Please ask your chapter President or Treasurer to send their check made payable to APT to our APT treasurer, Kelsie Patton, 805 E. Call St. , Tallahassee, FL 32301. If you’d prefer to pay by PayPal or credit card, use the link below to renew your membership or join us for the first time. Dues are payable upon receipt. Payment received by November 15, 2017 will be included in our new Directory of Members! 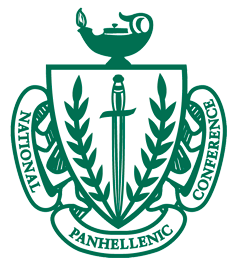 ← Alumnae Panhellenic of Tallahassee – We’re More than Just Scholarships!